This 2 1/2" hand tooled guitar strap comes black bordered by silver lacing and your name or band name is painted white to really stand out. 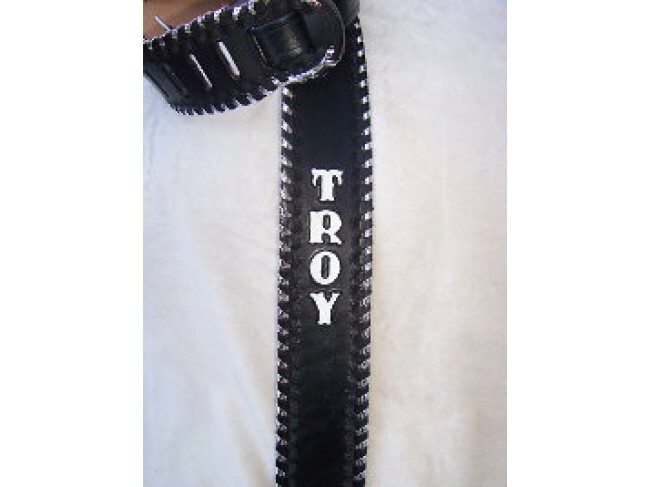 This personalized guitar strap was influenced by the amazing guitar playing of Zakk Wylde. Call for custom handmade leather goods.